Which shops stock clothes to suit your body shape? Over the past week or so there have been many articles celebrating the first year of Kate Middleton (Duchess of Cambridge) becoming a Royal – see a selection of her outfits over the past 12 months. Kate manages to balance wearing some designer garments with lots of High Street clothes – she really has proved to be a godsend for the retail industry – everything she wears sells out within days (and sometimes hours) of her wearing it. Some stores have been known to re-order styles months after they initially went on sale such is the power of the “Kate effect”! This has been especially profitable for the store Reiss, she loves the classic tailoring with a quirky twist that they provide – these styles are also great for her straight up and down figure. The majority of Reiss clothes are designed for women without too many curves and with slim hips and thighs. Do you know which shops stock styles that suit you? Have you ever thought that this maybe why your favourite store is your favourite and why you struggle in shops that your friends love. 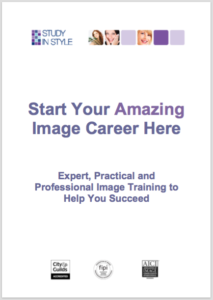 As part of our image consultant training modules you would learn all about different brands and stores so that you understand how to dress yourself and your clients.